Wondering how to manage or interact with your customers? In session, we look at what does customer management look like and what is social media management. The comprehensive online summit was designed to seize how to take advantage of the valuable CRM opportunities in social media by revamping all facets of your customer management effort and significantly improving your ability to engage the target audience. 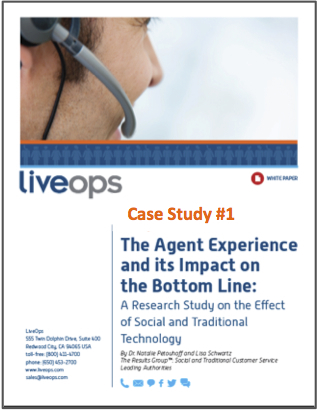 Customer Service Professionals need to understand how the customer experience impacts the bottomline. Agents are the frontline for most companies and this research study found that agents with better technology provide better customer experiences. According to a recent Harris Interactive survey, 90% of consumers say that a customer service agent’s perceived happiness directly impacts the overall customer experience. In other words, when an agent has the right tools to perform their job to the best of their ability the customer experience is positively impacted. The new integrated, multichannel agent desktops offer the right tools and they’re not just a trend but the new reality to engage with today’s channel agnostic customer. Is 25% cost savings from these new desktops myth or reality? Is it finally possible to truly improve first contact resolution, reduce customer churn and reduce average interaction handle time and increase customer lifetime value? Should ‘going cloud’ be part of the decision? Kieron Lawson is the CTO for LiveOps, Inc. In this role Kieron is responsible for establishing the technical vision of the company and leads all aspects of technology development based on strategic direction. Paula Bernier is executive editor for the IP Communications Group at TMC where she writes, edits and manages editorial content for the print & digital versions of INTERNET TELEPHONY, and writes for TMCnet. Bernier was formerly editor in chief of xchange magazine, a Virgo publication, where she worked for more than 11 years. While at that company, she also was the editorial leader for PHONE+ and Sounding Board magazines, as well as various e-books and webinars. Prior to that, Bernier was a senior writer for Inter@ctive Week, a magazine that was initially independently owned but was later acquired by Ziff Davis. Bernier got her start in telecom at Telephony magazine, where she spent nearly five years, leaving as the news director. She also has been on the reporting staffs of various mainstream daily and weekly newspapers in Iowa, Minnesota and South Carolina. Are You Ready for New Customer Service Channels? 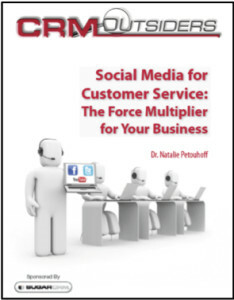 Customer Service and Customer Experience, especially in the age of Social Media is one of the most important capabilities a company can develop. But the ability to provide great customer experiences isn’t new. But thanks to social media your customers are now more connected than ever. If they complain about their experience via social media, thousands or even millions of people can see how your company responds. We call this the Witness FactorTM, and it’s driving significant change in customer service. These new, open interactions between companies and their customers, as well as customer-to-customer, are driving significant change in customer customer service. In this webinar I walk you through the 7 steps for building a better customer experience in the social age, enabling agents and managers alike to create a strategy, justify the plan to upper management, and calculate the ROI (return on investment) of your initiatives. And if you’d like to hear the webinar, here you go! 7 Steps to Great Customer Experiences!